It may come as a surprise that while the Italian community in Singapore has become more visible during the last 20 years with the enormous proliferation of restaurants here, Italians have really been present in this port-city since the mid-1800s, and have even left their mark in some of the place names as well. Buona Vista seems to be an obvious candidate for some place of Italian origin, though at this point in time we really do not know how this name came about. On the other hand, we do have documentary proof of Italian influence in one area in the extreme north of the island. Way back in 1864 a certain Signor Giovanni Edoardo Leveson built a house there and gave it a name that would eventually become that of an entire town now there – Woodlands. Indications of a small but thriving Italian community are found in some of the newspaper articles of the time — a mention of an opera company in 1883, a major reception held in a River Valley estate in 1896, court proceedings, and the publication of an Italian-Malay manual in 1890s attest to the substantial presence and the needs of an Italian population. 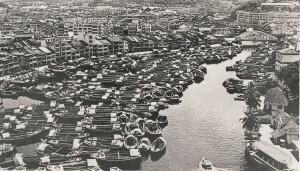 Being a thriving port, Singapore attracted considerable numbers of people from the mercantile and shipping related trades, some of whom included those from the major port of Genoa. There was a Sig. Giovanni Gaggino, who established a successful shipping business in 1874 which flourished until his death in 1918, to be continued by other Italians and their descendents. 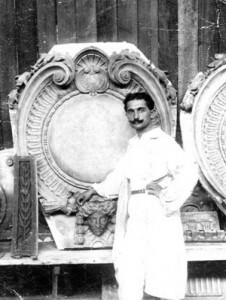 Perhaps the most well-known of the Italians who lived in Singapore is sculptor Rodolfo (Rudolfo?) 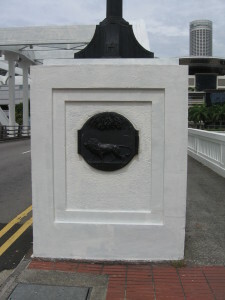 Nolli, who worked in Singapore in the early decades of the 20th century, leaving his mark on some of Singapore most notable buildings, among them the Fullerton Building, the Elgin Bridge, the Tanjong Pagar Railway Station, and the Old Supreme Court, which shall now be reincarnated as the National Gallery. Nolli retired in 1956 and returned to Italy where he passed away in 1963.